You must make reservations at least 5 minutes in advance of the time at Kirby's Prime Steakhouse - Southlake. Continuing the legacy of Dallas' Original Steakhouse, Est. 1954, Kirby's Prime Steakhouse in Southlake, Est. 1999, is an award winning restaurant featuring Mid-Western, all natural, aged prime beef. Kirby's also offers fresh seafood, daily specials, and a spectacular collection of New and Old World wine housed in an impressive cellar of over 3,000 bottles. Kirby's boasts a trendy jazz bar and lounge featuring live music on Friday and Saturday evenings. Chef seeks to introduce the culinary versatility of Kirby's cuisine to the newcomer, and to charm the well-educated diner with the tastes, colors, aromas, and preparation of the dishes Kirby's has to offer. Guests can enjoy one of Kirby's wonderful cocktails in the lounge or partake in a glass of wine selected by certified Sommelier, Travis Robinson. Join us for Mother's Day Brunch and Dinner, May 12th! Doors open early at 11:00 am for Chef's Brunch features and specials all day long. We had a great anniversary dinner. Great food. Great wine and great service. Very good appetizers and dinner. Service was great. Bartenders awesome. We had the lamb chops, crab cake, grilled shrimp, and salad. Everything was perfect. We came here for a birthday celebration and it did not disappoint. The food and service were both fantastic! Our waiter was very accommodating. We were hesitant to being our two young children to a nice restaurant, but the waiter knew to sit us in the quiet back room. The quieter room made the kids feel like they needed to whisper, which was a blessing the whole meal. Our daughter had very specific requests (chocolate milk, mac and cheese, Brussels sprouts, and chicken strips) and the waiter said he could do that, even though chicken strips weren’t listed on the menu. They made the kids feel special so they had a great time and my husband and I were able to enjoy our steaks in peace. 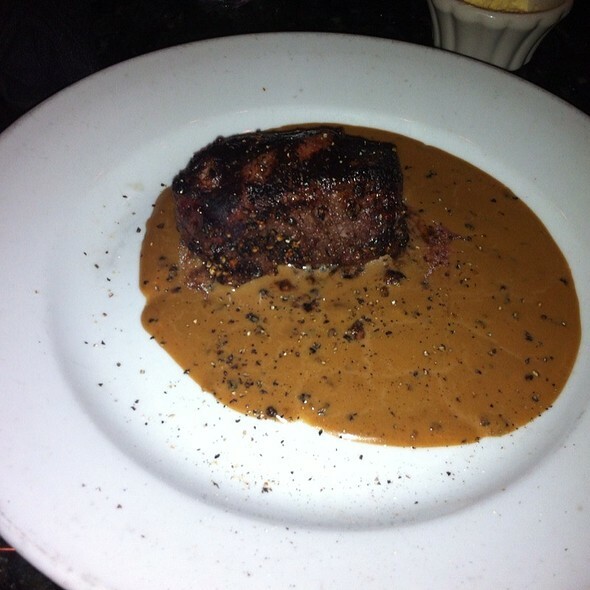 The Roquefort steak was outstanding, and my husband loved his pepper steak. We’ll definitely be back. Thank you so much for taking time to leave your review! We are so glad to see that the whole family enjoyed their evening here! We are always more than happy to accommodate to our young dinners off-the-menu desires. We hope to see you all in again soon! The dinner experience could not have been better. Everything we ordered was perfectly prepared, and the flavor was exquisite. The server was attentive, and made our dining experience one of the best we have ever experienced. We look forward to returning to Kirby's in the future for another outstanding meal. Greta food and service. Too much noise. Difficult to talk. We enjoyed our experience at Kirbys. There were 6 of us and it was a first time for all. The food was excellent and service was great. We were able to enjoy a conversation with everyone at the table although the restaurant was full it was not loud. We had a great time and our service was excellent. It was nice to have ourselves treated so well! Incredible happy hour menu and the service is outstanding. The pricing is better than Trulucks which is another location that we frequent. I also think that Perry's has created some healthy competition but if you want one of your favorites to stick around give them some love and keep coming to Kirby's. Eileen, thank you so much for your review! We are so proud to say that we have some great restaurants surrounding Kirby's. We are so glad to see that you enjoyed your evening with us. We hope to see you in again very soon! The steak and mashed potatoes were amazing but the appetizers (asparagus), French onion soup and mixed vegetables were very bland. Were not seasoned at all and more suited to some who favors bland food. Very disappointed and will not go back. Amazing food, excellent service. It was our first time there but we had a wonderful dinner. The food and service were not comparable to other fine dining steakhouses in the area. I wouldn’t go again. Service was great. Food was fantastic. Keith was amazing! Brought champagne to the birthday couple and treated us all so very well! You’ve just got to celebrate a birthday or anniversary there! They treated us royally: champagne, a special dessert, a photographer & printed photo & a gift card! Thank you, Kirby’s! Fantastic wine list! Great choices and we caught the 50% off wine under $200.00 evening without even knowing it in advance! Great surprise! It was half price wine night! How nice of our favorite restaurant to have half-priced wine for Sunday dinner! We chose an old favorite Shiraz - so hard to find these days. 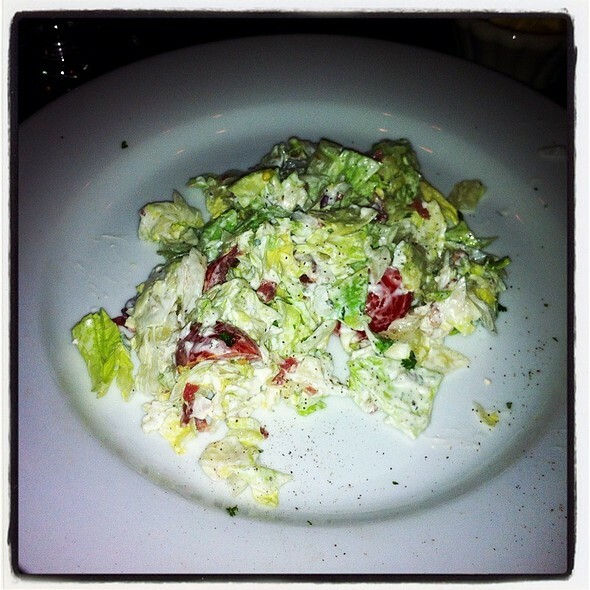 We started with oysters Ladybird which were were excellent, followed by a very nice salad. Then the fillet - so tender and perfectly cooked all served up with class and style by Keith, the master server. All in all an outstanding evening! Thank you! Made last minute reservation for my birthday dinner with family and Kirby’s was the right choice. Our first time dining there and we loved it! Our server was very nice, attentive and timely with the food. He offered us great choices bring it was our first time. The owner/manager I’m assuming stop by our table to check if we were enjoying. Kirby’s even brought out a complimentary ice cream cake and birthday card! I will definitely revisit this restaurant thanks for helping make my birthday great! We had a nice meal with excellent service by Brenda. She was attentive, helpful and very pleasant. We were there celebrating our anniversary and the complimentary dessert and anniversary card that included a photo of us taken during our meal was a very nice touch. The food was very good. 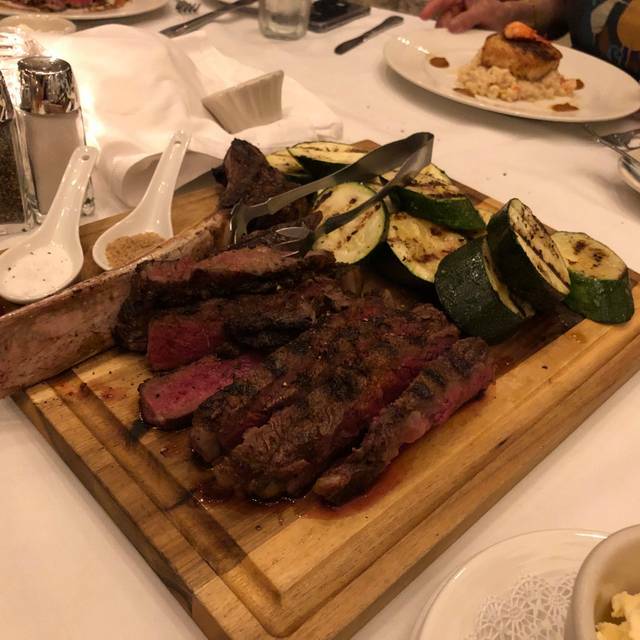 My husband ordered the NY strip steak and said it was excellent; however, he was a little surprised that the presentation was a little lacking with no garnish of any kind. I had the surf and turf. It was very good, but I would have preferred to have the lobster tail served separately with butter, rather than on top of the steak and in the cream sauce. 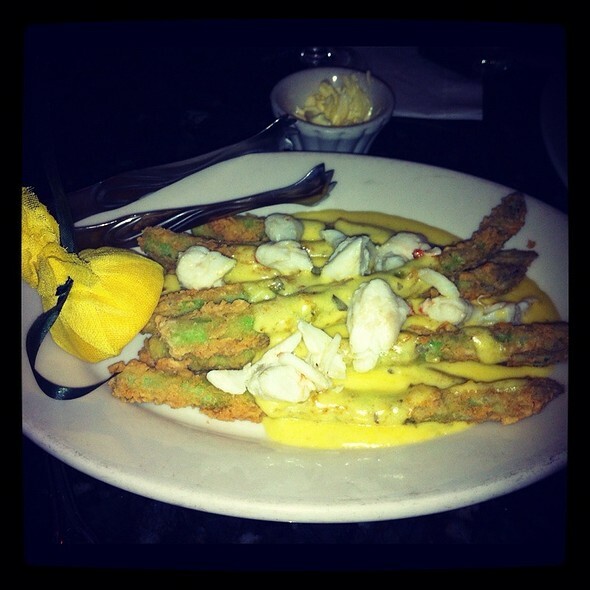 The cream sauce was not very warm when my food arrived at the table and cooled down the meat and asparagus that were served with it. The steak was delicious though. The atmosphere is very nice, but the evening we were there, it was a little on the noisy side. Overall, it was a good meal and a nice evening, but there were a few areas with room for improvement. Food was good. Was just hoping for a much more tender (melt in your mouth) ribeye. Sides were GREAT!!! We were there on a Thursday around 7:30pm. We were one of maybe 5 tables. There was a party of around 10-12 people that walked in shortly after we were seated. As people arrived to their party, they were so incredibly load that it disrupted whatever conversation was going on at our table. I was really surprised that no one complained. Perhaps it was because they quieted down once everyone arrived, but they were literally on the verge of yelling as people arrive. Ugh. If you like sub mediocre food and bad service...this is your place! The food and the service was fantastic, Mark was great! Everything was outstanding as usual. 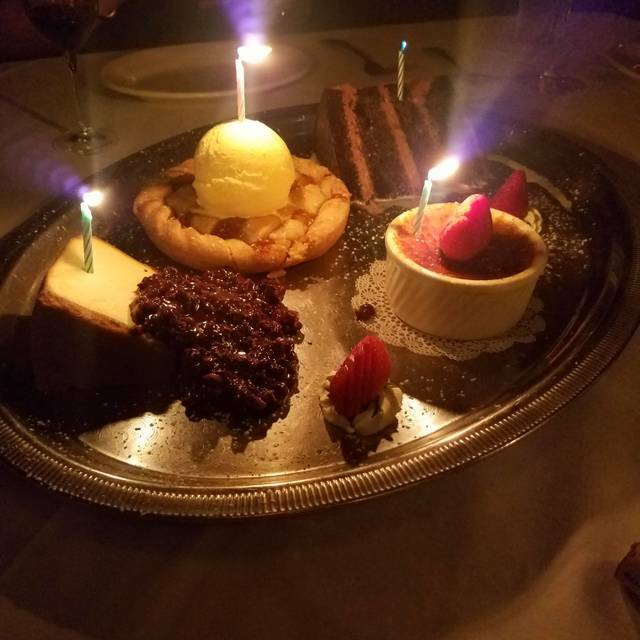 We will continue to dine at Kirby's Southlake on all of our special occasions! Took a girlfriend (and her mom) out celebrating her upcoming wedding. Kirby’s was the perfect place. Service, food, and atmosphere were perfect!! Another great meal at Kirby's! From the crab cake - to the creamy garlic dressing - to the excellent peppered filet - to the au gratin potatoes - to the lobster mac & cheese with bacon - to the incredibly good dessert - extremely good from start to finish. Our server was excellent and did a great job in explaining the specials. Our wives tried the Wagu ribeye and found it to be very good, but not as good as their regular filet. 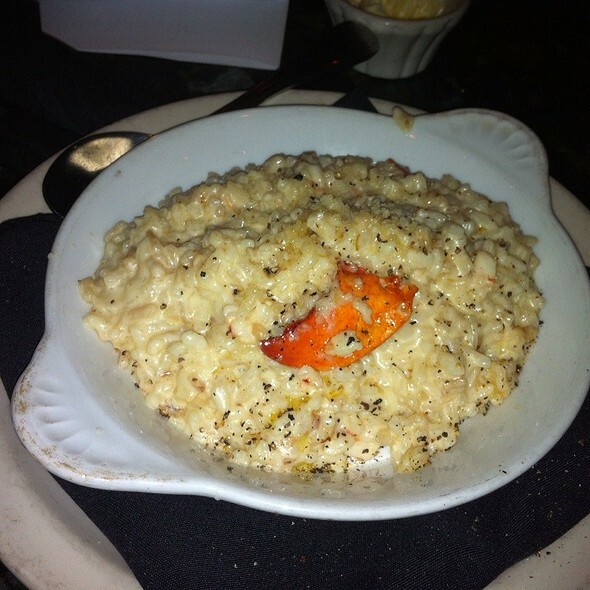 Kirby's in Southlake is our favorite place to dine and can't wait until our next visit. Food and service are always outstanding! It's a little loud inside but it's a steak house to it's expected. I'm never disappointed at Kirbys! Service from Alex was excellent and worth the trip! We'll be back! Astride was a great server! Kirby's knocked it out of the park . . . again. Scampi-style crab claws-perfect, butter-garlic sauce not overdone. King & Turf but with ribeye instead of filet. Ordered medium rare-just right. A very tender cut. Jalapeno mac and cheese-excellent. Blue-cheese wedge salad-perfect balance of all ingredients. Crisp, fresh lettuce. Thomas chose the wine. Frank Family cab. Excellent. A great match with the steak and king crab. Last but not least-service. Could not have been better. Wait staff timed visits right on target. Thank you! I selected Kirby's because the service is impeccable. The waiter and sommelier did a superb job in service and wine selection. The food, however, was somewhat disappointing this time...except for the Flourless Lava Cake, which was excellent! The steaks were cooked perfectly, but three people ordered salmon, which was undercooked. The Beefsteak Tomato salad came in a huge portion, but the tomatoes were unripe and too tough for my liking. The biggest "gripe" was that I asked for a "quiet table as one guest is heard of hearing". We were seated near the fireplace, which was nice, but the noise level was RIDICULOUS! We were a party of eight and we had to almost yell across to table to have a conversation. I will NOT bring guests for another business dinner to this location. However, I will come and get the Flourless Lava Cake TO GO! Always a great experience. A great place for special occasions. The entire menu is fabulous. They also have famous clientele, not to name drop but he was a great baseball pitcher from Texas and his name rhymes with Nolan Ryan. Steak was just average, not much flavor. Salad was not good at all. The service was good but not very personable. For over $100 per person I won’t be going back. We ordered our steaks medium rare, a filet and a ribeye. The filet was cooked perfectly, but was cold. The $59 Cowboy ribeye was not good at all! It was tough, cold and not cooked well. I think medium rare steaks should be seared on the outside to keep the middle hot, this one was not. For an expensive, fine dining steak restaurant, it was not worth it. Service was great, and we really like their bar! Nice menu selection and they also include a iPad with the chef specials. Very nice way to add extra dishes to the daily menu. Wine list is nice, but expect to pay 15.00 a glass on average. Casual to business casual dress is accepted. Bar seating area is available and closed off from the dining area which allows the noise level to remain low. This is nice. We celebrated a friend’s birthday. Service excellent, food delicious, complimentary glass of champagne with dessert. Items are all priced separately making these types of steak restaurants a bit expensive in our opinion. Nice for a special occasion but a bit too pricey for regular date night. 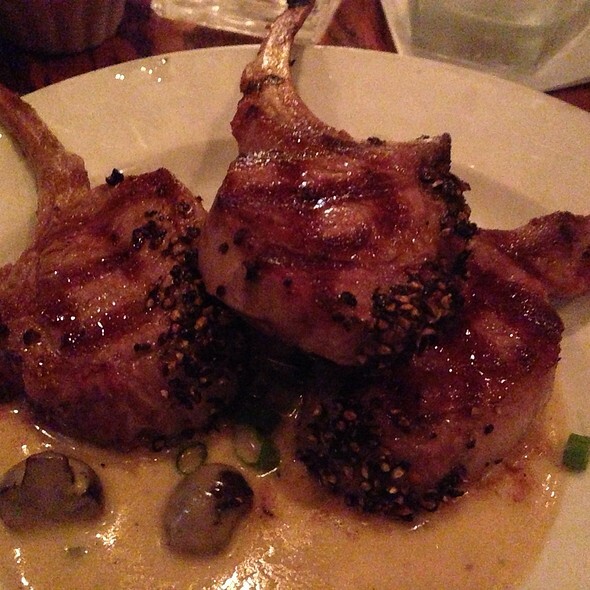 Kirby's remains our go-to place for a special dinner. They still have a good variety of Australian Shiraz wines. Very nice, hard to find! 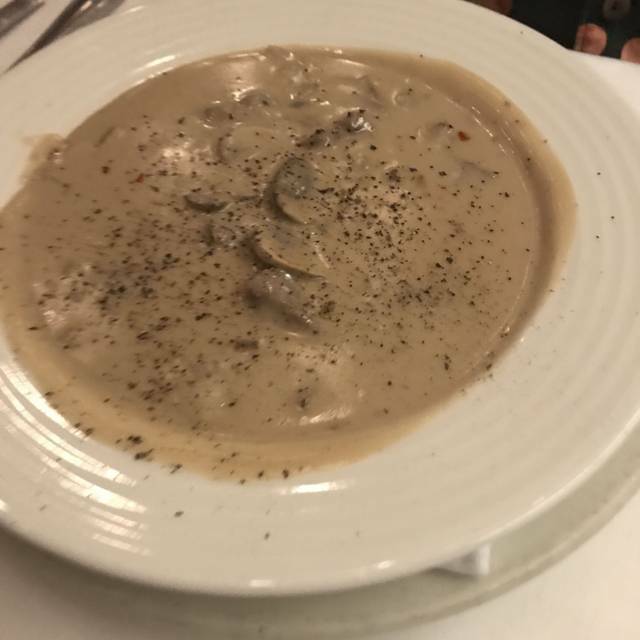 The mushroom and beef tips soup is a must-have when they have it on the menu. 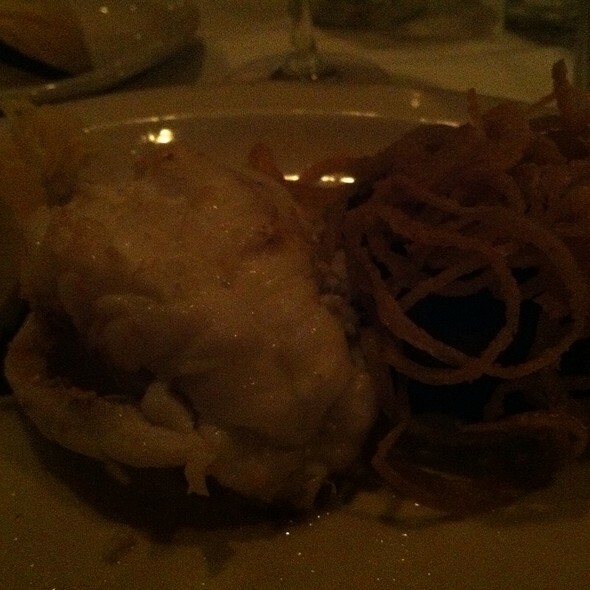 Then the main course was the excellent sea bass with the superb lobster rizzotto. My better half opted for the lamb, which was outstanding. Great service by two - one was supposedly in training, but it was hard to tell which one - servers made up for the fact that our regular server was on a day off. Great evening to celebrate good news and make up for a disapointing Valentines dinner.